We chose The Pomeroon because of its fertile land, the stunning natural environment and the unique local communities. Stimulating the local economy: We employ over 50 people from The Pomeroon - a number that will grow as our operations expand. A productive coconut estate will tackle rural unemployment, bring practical skills training, and create economic opportunities for indigenous peoples. Environmental stewardship: We are in the process of gaining Rainforest Alliance certification and NEVER cut down forest for our operations. We are re-planting tens of thousands of trees, clearing waterways and investing in drainage. Female empowerment: too few women in The Pomeroon are afforded the opportunity to make a fair living and be independent. We want to change this. We aim to have a 100% female workforce at the Pomeroon Coconut Nursery and will take every opportunity to employ women in all aspects of our business. We chose this corner of Guyana because of its fertile land, the stunning natural environment and the unique local communities. To support this community, we pledge to play a meaningful role in stimulating the local economy; to protect the natural environment through conservation and sustainable practices; and to develop the socio-economic environment for women and children along the river. Rural Education Project, Winter 2018: Abrams Creek Primary School is a small rural school on the Warapana River. At this special place we hope to create a community of readers by building a new library and stocking it with textbooks, novels, story books and educational materials. We are working with the Guyana Energy Agency to install solar power - with this, we can add the school’s first computers. Pictures and progress to follow! Women's Empowerment Seminar Project, Summer 2018: We designed and sponsored a seminar series for 50 women from the Pomeroon community covering gender equality, entrepreneurship and access to finance. The workshop was run in conjunction with the Ministry for Social Protection and established self-help groups for women in the Pomeroon to link them to development agencies and lending institutions. There was also optional (and free) cervical cancer screening, led by the Cancer Institute of Guyana. This project was made possible through a generous donation by Hannam & Partners. For more information about the seminars, click here. Hackney Primary School Project, Spring 2018: We built a dining room at a local primary school in the Pomeroon. 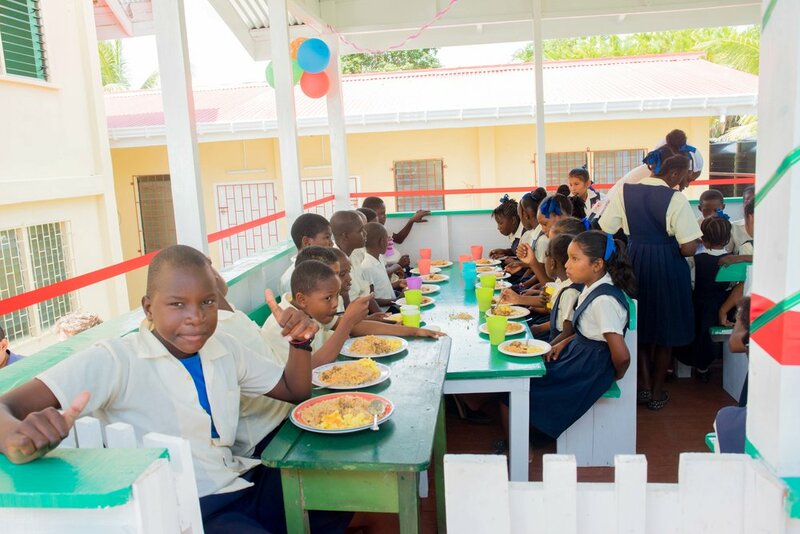 Prior to the new dining room, the children had to eat outside (in the direct sun) or inside (thereby dirtying the classroom) as there was no dedicated dining area. 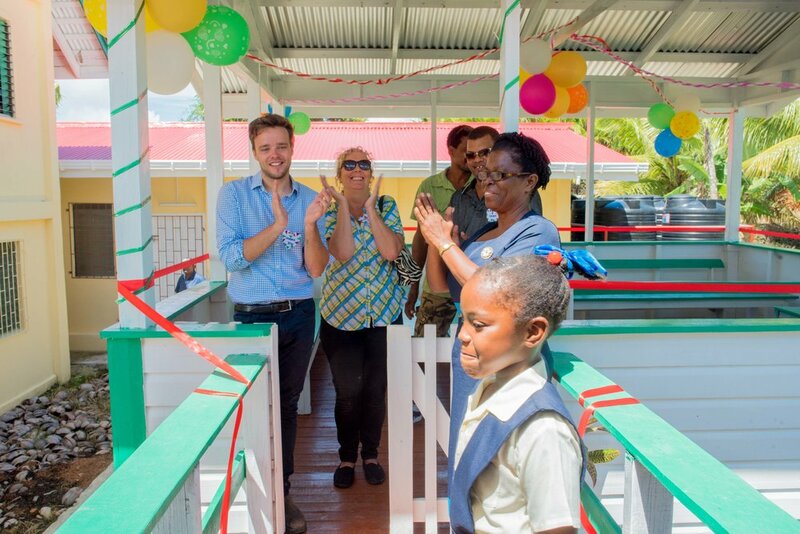 The new beautiful wooden dining room will accommodate all children and teachers, thereby facilitating the existing feeding program and teaching of dining etiquette. The dining room is constructed in the local traditional style using local materials and local craftsmen. Read more about The Blessing Ceremony here.